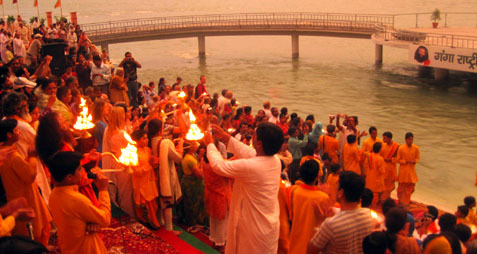 The most well known Ganga aarti in Rishikesh is held on the Bank of the Mightiest scared River Ganga at Parmarth Niketan Ashram. The aarti is a pleasant ritual of worshipping the Ganga. Few people attend this aarti in the evening on the bank of the river Ganga. The aarti happens at a very picturesque place on the bank of Ganga in front of the statue of lord Shiva built on the river. The aarti starts at 5.30 pm with children studying Veda and the bhajan singers and the perfomers walking into the ghat, as the sun sets and it gets slightly darker, the staute of lord Shiva is lighted up and look beautiful. The aarti continues with lamp in various shapes and size lighted up and passed on from people to people. Hotel Ganga Kinare is located by the river side in rishikesh where one can clearly view the evening aarti or take a bathe in the sacred river Ganges. 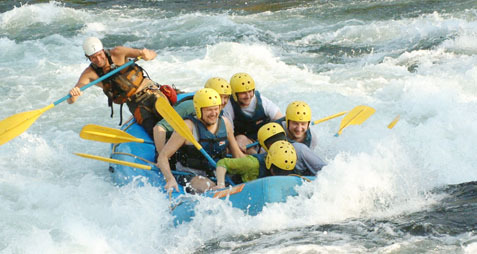 River Rafting is undoubtedly one of the most popular adventure activities in Rishikesh. This water sport allures thousands of tourists from all around. Rishikesh offers a thrilling opportunity to raft down the River Ganga. Rafting right amid rocky mountains, taking all the freshness of the green surroundings and enjoying as the water caresses your face, what could be better? One could feel their heart beat pumping as they move across the gushing water of River Ganga at Rishikesh. Rishikesh offers this adventurous sport from the month of September to June every year. During these months, the water of River Ganga is perfect for rafting; it is neither too wild nor entirely calm. There are a number of rafting operators who arrange this activity for people. People can also opt for riverside camping along with rafting. Bungee Jumping is one of the most challenging adventure activities. This activity is perfect for those adventure enthusiasts who live life without fear. During this activity, a person is harnessed to the wire that dives from an altitude of around 220 to 273 ft. On release, the wire takes the person down to the river level and then goes back up. The speed of rushing down slowly accelerates upto speed of 160 km ph. 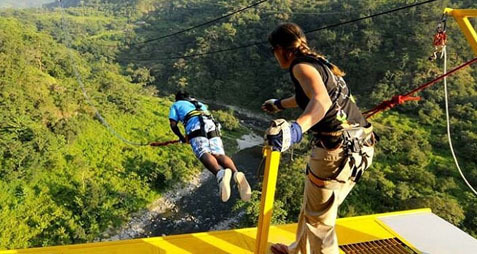 This activity offers you a thrilling experience as you fall free at such high speed. This one is surely one among the top things to do in Rishikesh. For those who wish to spend some time close to nature, Waterfall Trekking is the perfect activity. This activity takes you closer to nature away from the hustle and bustle of city life. 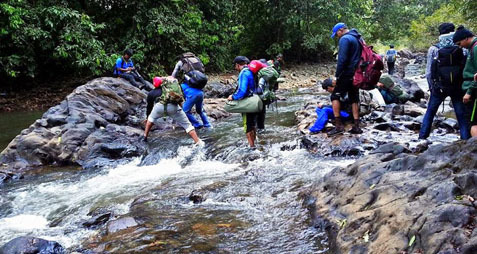 Waterfall trekking is a great option for all those who love trekking and nature. This activity can- be enjoyed by people of all age groups. This is an exciting activity which takes you through the unexplored areas of Rishikesh which are set amid those green surroundings. As you walk through the narrow trails around Rishikesh, you may also get to see exotic wildlife of Uttarakhand. Some beautiful waterfalls around Rishikesh are Neergadh Waterfall, Garud Chatti Waterfall and Patna Waterfall. All these waterfalls are immensely beautiful and promise a refreshing experience to all the trekkers. This activity is for those who wish to ride through the challenges and test their capabilities. 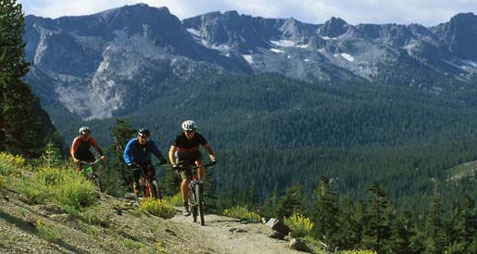 Mountain biking is one of the most popular adventure activities of Rishikesh which involves riding bicycles over rough terrains using mountain bikes. It makes an adventurer paddle across picture perfect landscapes, rough terrains and more which is nothing less than an amazing experience. For this one of a kind experience, one needs to have great stamina, focus, balance, endurance and bike handling skills. While you paddle through those snaky roads, enjoy the glimpses of those lush green meadows and local villages. It is one of the best activities where you can explore the wonders of nature in the best manner. 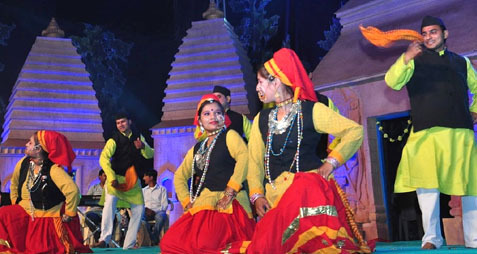 Hotel Dewa Retreat in Rishikesh organizes local classical musical and dance recitals occasionally, staff of the hotel provides you the service to take a view to a neighboring village to witness the festivities of the numerous spiritual and cultural that takes place every month. 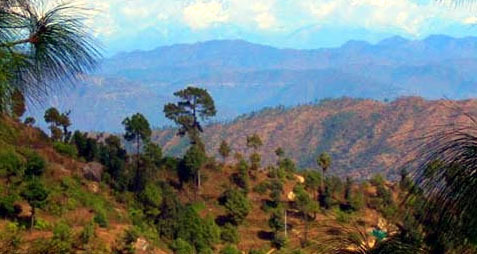 At Dewa, guests have an opportunity to spend half a day at a village up a hill about 1 hr hike. Here you can see the herb, agricultural and rice paddy fields. You are guided by our resident team of farmers to learn more about the various items that are grown in and around Dewa. Activities include harvesting, planting, weeding, watering the various food and herbs that go into their food and rejuvenation oils. Please note the agricultural activity is seasonal in villages.